All programs at VanArts are designed to make you ready for work in the industries we train for. Combining your hard work with the resources we provide is the key to your success, and our curriculum for all programs is built with career support in mind from day one. 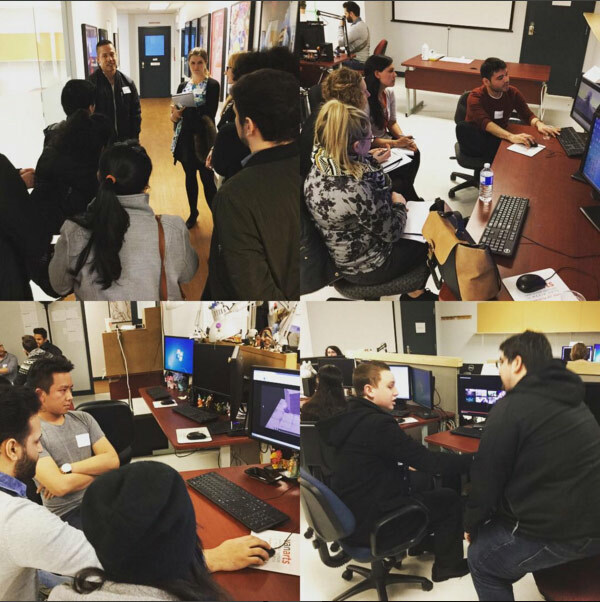 In addition to the skills taught in the program itself, VanArts is well connected to the industries we serve and can help you with your job search in a number of ways. We assist our students to find employment through networking with industry professionals and responding to individual recruiting needs, essential for competing in today’s market. Often the best resource for finding a job is maintaining close relationships with your instructors, classmates and guest speakers. Student Services and Department Heads also send out e-mails during and after the program when they hear of job postings or recruiting events. For students in Character Animation, Game Art & Design and Visual Effects, VanArts hosts an Industry Night after graduation, when your final demo reels are complete. Industry recruiters from local studios are invited to view demo reels and interview you in person. There are several annual events for these industries in Vancouver, including the Spark FX/Animation Festivals, R2R Behind the Scenes Expo, VEC Career Fair, and many others. We will notify you when these events are happening. Through your experience at VanArts and beyond, the staff and faculty will strive to keep all members of the VanArts family in touch as your peers are the best starting point in creating a personal network of professional contacts. Alumni are encouraged to keep in contact with VanArts for ongoing career development. Make sure we always have your updated contact information!